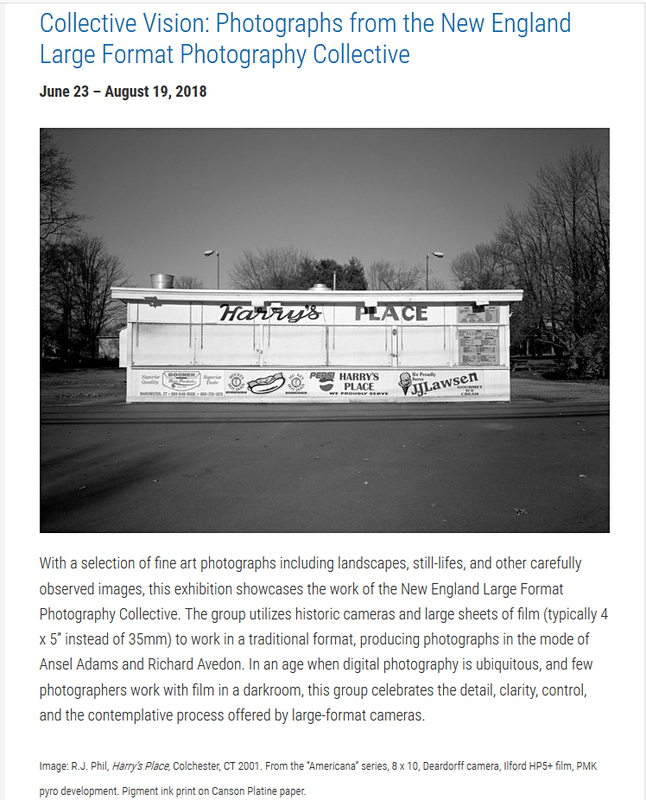 The New England Large Format Photography Collective will be exhibiting at the Valley Photo Center, Tower Square, 1500 Main St., Springfield, Mass from April 1st through the 29th. There will be a reception on the 29th, from 1-4pm. I have been a member of NELFPC for 10 years now, and am still astounded at the quality of the work our members produce. Every get-together is a learning/sharing experience. 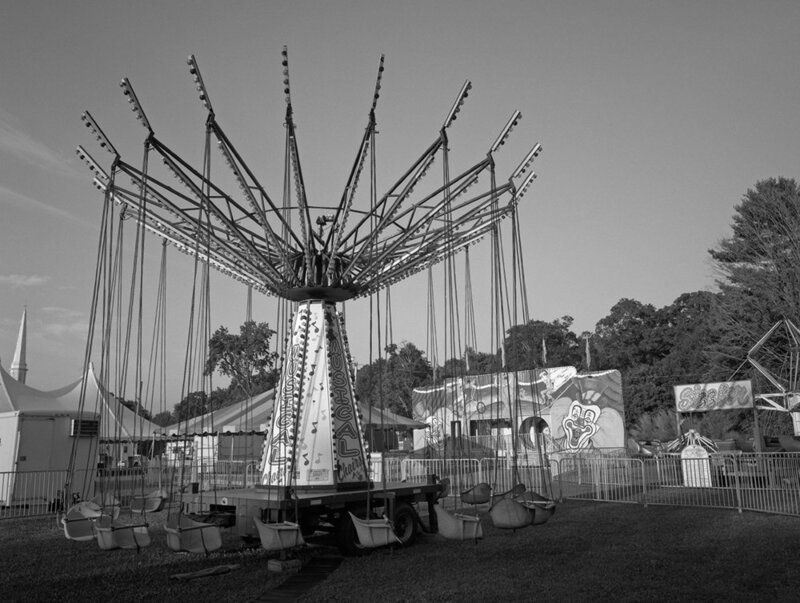 This image, ' Carnival, 6am" is one of 5 images I will be showing . It was photographed with a 4x5 Tachihara field camera, 90mm Schneider lens on 320TX film and tray processed in Pyrocat HD / glycol developer.